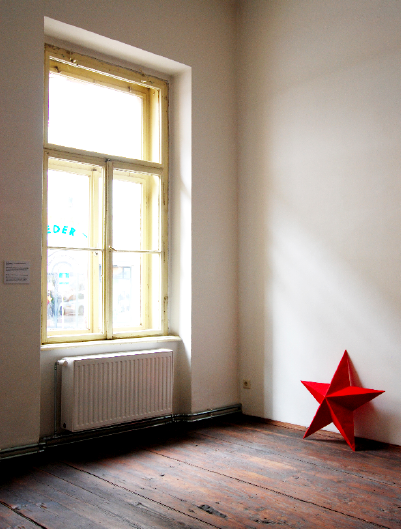 Wooden star, red paint, dusty wall. 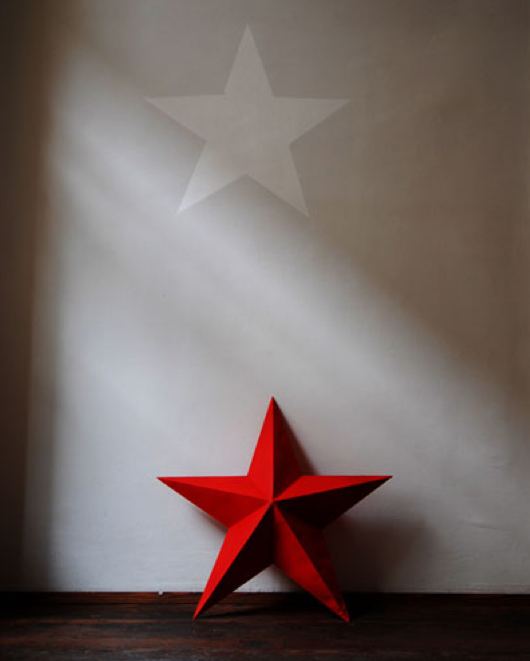 The shape of the star is borrowed from the frieze of a certain monument built during the Socialist times in East Germany. 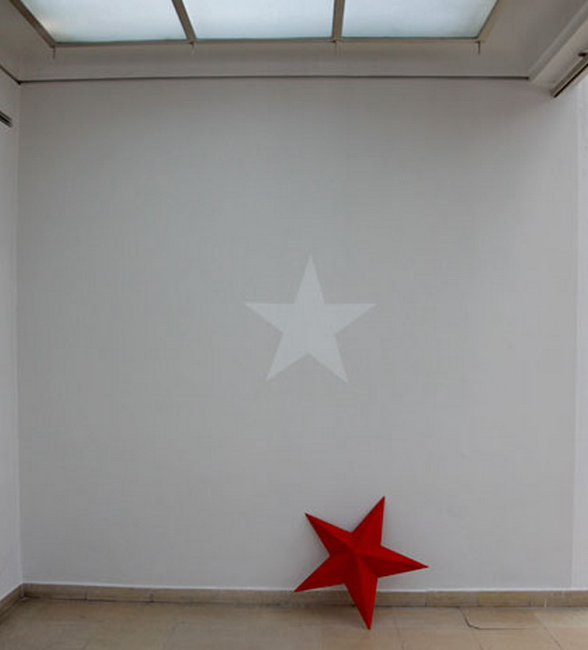 The only difference between the star of the actual monument and my art object – entitled ‘Communism, that Fallen Star of Political Endeavor’ – is that the stars tail at the original monument was positioned at a 45 degrees toward the sky. 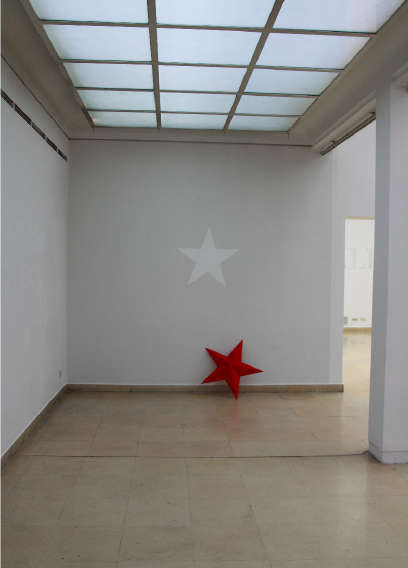 My artwork’s star direction derives from the analogy of the ‘fallen star’, therefore the tail, is directed toward the ground rather than towards the sky. It represents the actual state in which the monument was left, unattended, unregulated for many years.